Now a days, there is the most demand of professional blogger template which are derived from WordPress. However, I made 3 professional blogger template which is very hot now a days. So, today I am revising all my previous blogger template that I have made. Some of you may not have see these. Lets go with the popular one. 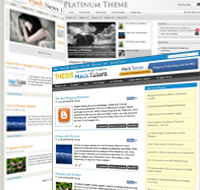 Thesis Blogger Template is the first one that I have converted it into blogger platform. My first blogger template covered the top professional blogger template of August and its very hot! It have simply, 2 column and very good layouts. As the inspiration if this, Platinum and Flash News was my target and already covered it! 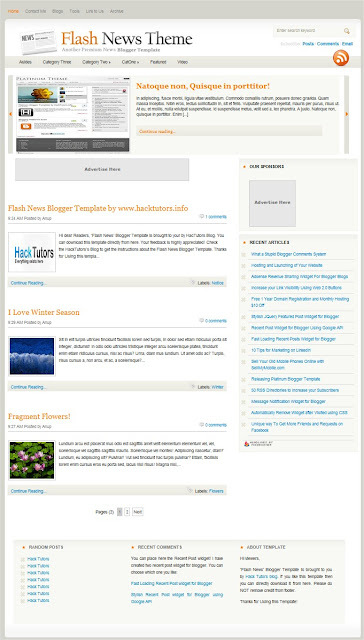 So these are the 3 good blogger template that I have made. I will be creating more new professional blogger template in future. Your feedback is highly appreciated. Without your feedback, I'll not create any new template.